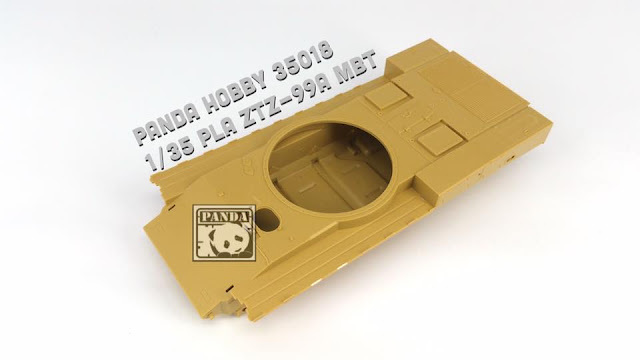 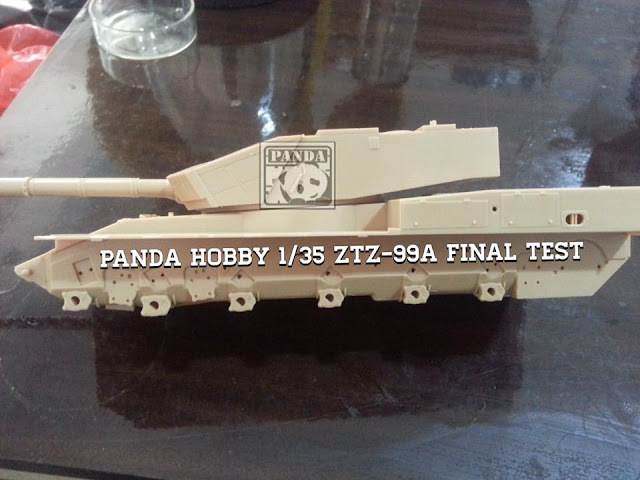 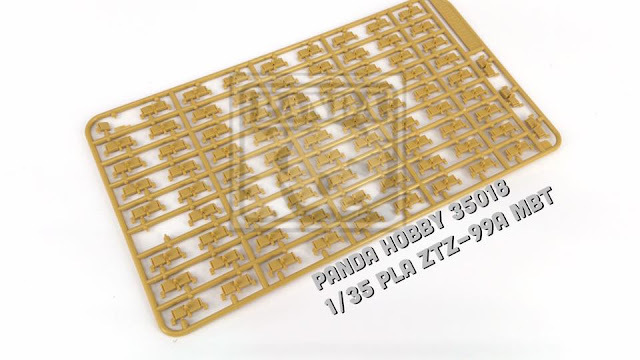 Panda Hobby have made a new version of the Chinese main battle tank we saw on parade so prominently this year in the large military parade in Beijing. The Type 99 main battle tank is a further development of the Type 98 MBT. 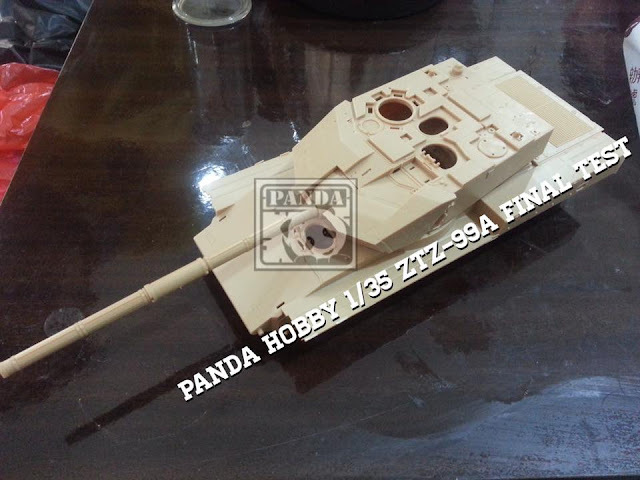 It is generally similar to the Type 98, but has a number of improvements. 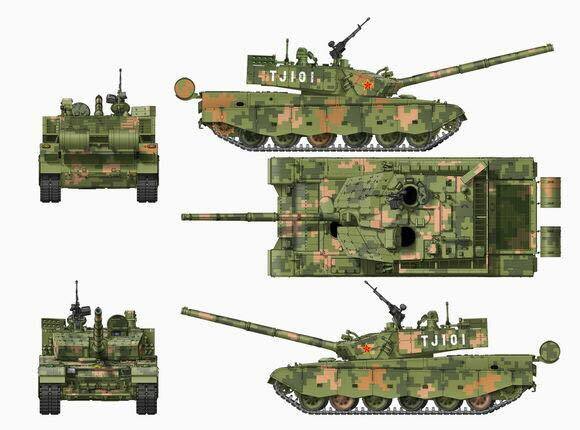 The Type 99 was revealed in 2000 and entered service with the Chinese Army in 2001. Only a limited number of these MBTs are operational (approximately 200), because of the high unit price. 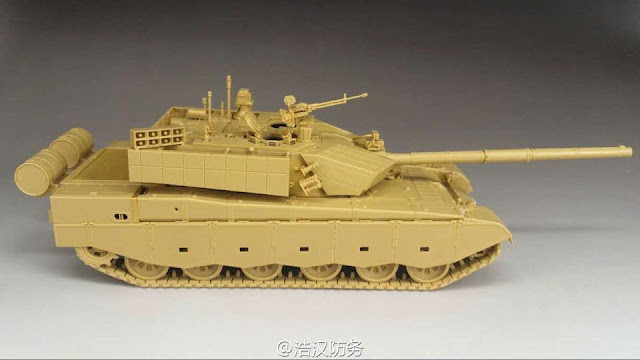 This main battle tank shows a mixture of Russian and Western influence in its design and technology. 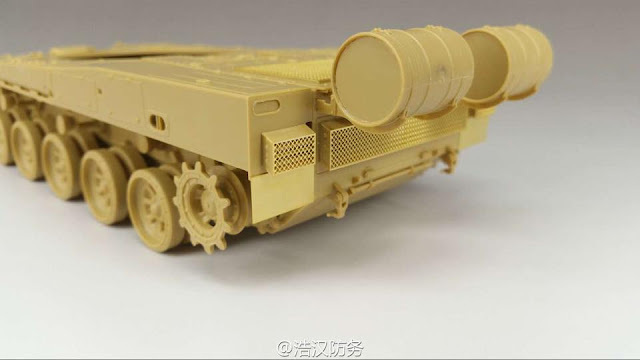 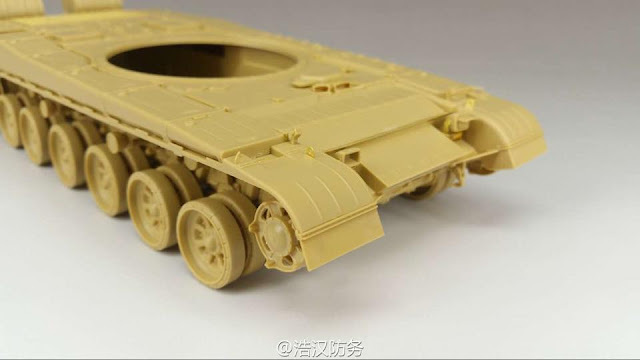 tracks look easy to put together..
Turret of the Type 99 has a Leopard 2A5-style wedge-shaped modular add-on explosive reactive armour. Damaged sections to be replaced or upgraded when more advanced armour is available. It is claimed that the front protection of the Type 99 MBT is equivalent to 1000 - 1200 mm of steel armour. 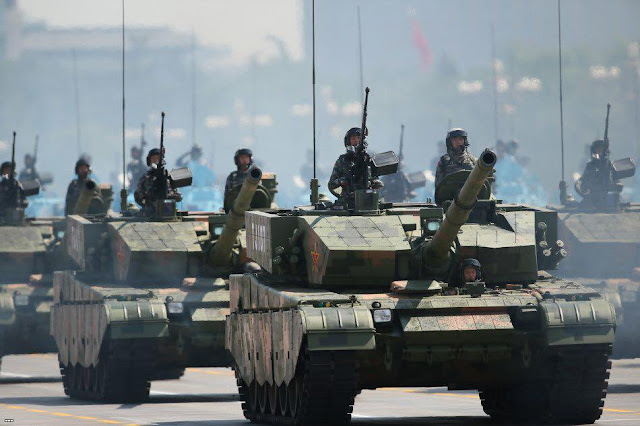 Vehicle is equipped with NBC protection and automatic fire suppression systems. 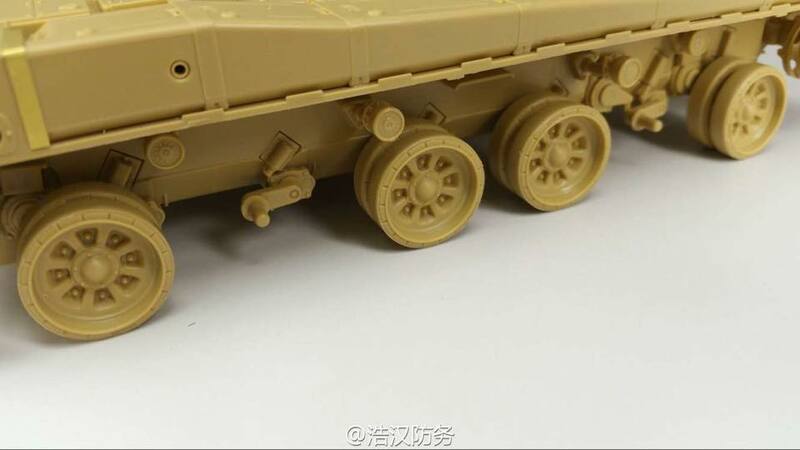 A lot of the details of the lower hull are moulded on already speeding up the build process.. 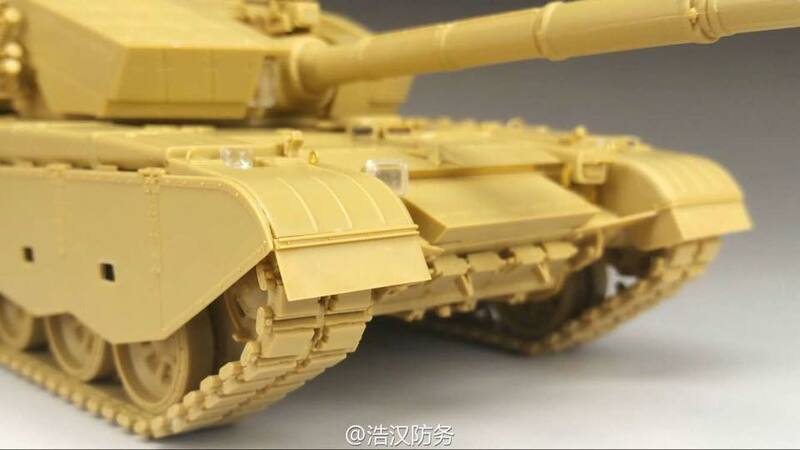 Hull of the Type 99 MBT is very similar to the Soviet T-72, but is one meter longer. 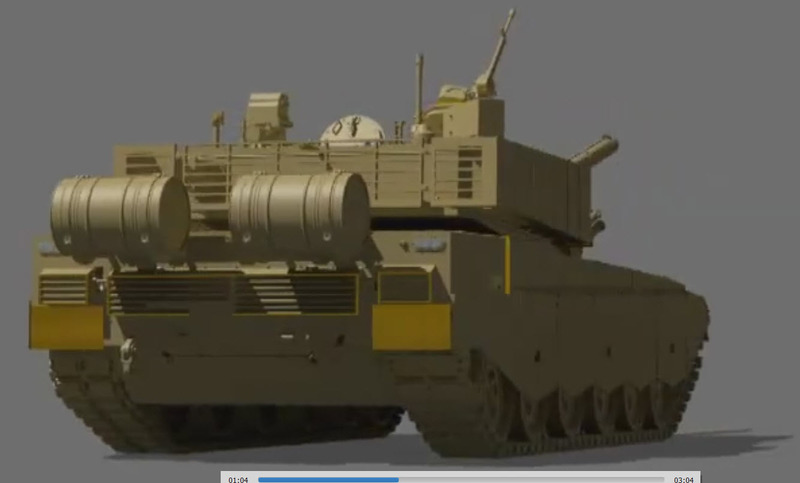 Vehicle is powered by a turbocharged diesel engine, developing 1 500 horsepower. This engine is based on the German MTU 871 Ka-501 technology. 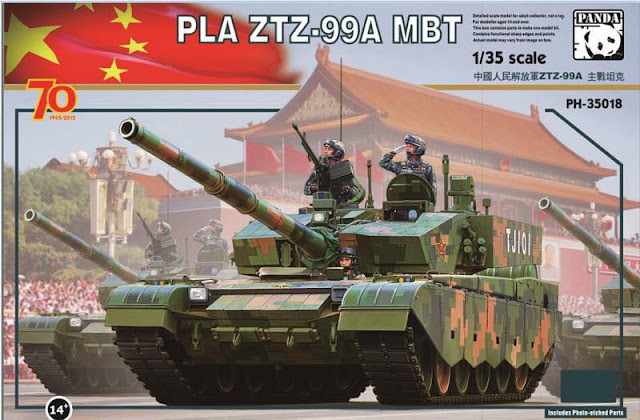 The Type 99 has a high power to weight ratio and subsequently good mobility and cross-country performance. The Type 99 has a crew of three, including commander, gunner and driver. 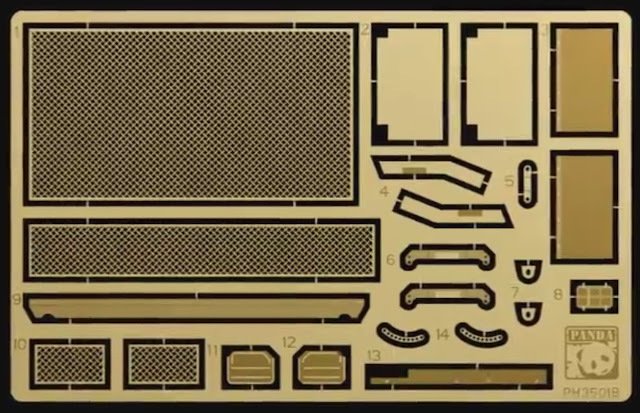 All hatches for the crew can be opened or closed. 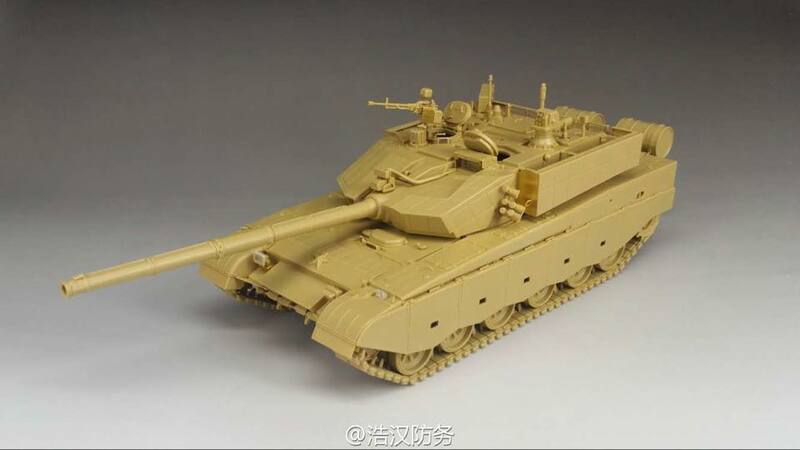 The Type 99 tank is armed with a fully-stabilized ZPT98 125-mm smoothbore gun, fitted with a carousel-type autoloader. Both the main gun and the autoloader were copied from the Soviet/Russian designs. The Type 99 has a rate of fire in 8 rpm using autoloader and 1 - 2 rpm loading manually. 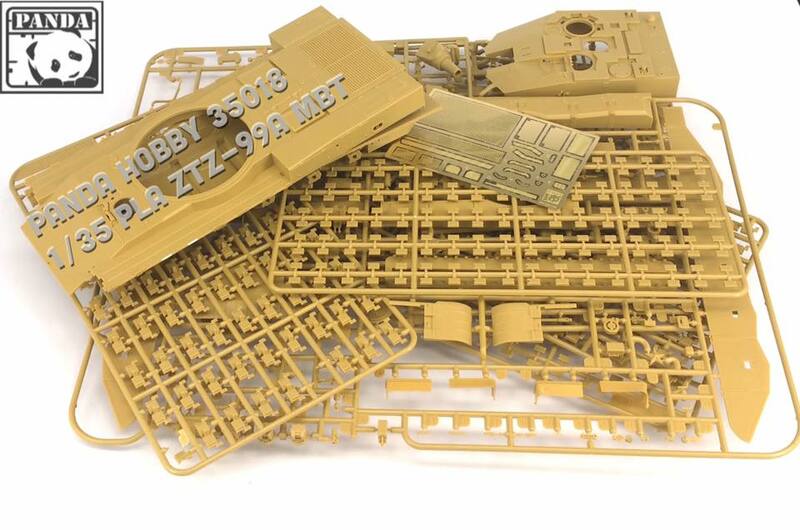 Secondary armament consists of 7.62-mm coaxial machine gun and 12.7-mm anti-aircraft MG.
Well that is all we have right now until this kit’s release (very soon) - We will keep you abreast of news this kit from Panda-Hobby in the future.